At the Kennedy Space Center in Florida, the Space Shuttle Atlantis is launching its last mission into space for America’s space shuttle program. Florida Today reports that "scads of visitors to the Space Coast have traveled from hundreds, even thousands, of miles away to see the historic final launch." NPR notes that the mission is getting plenty of attention on the Web as well, including from the folks at the Space Center who are participating in the #NASATweetup on Twitter. 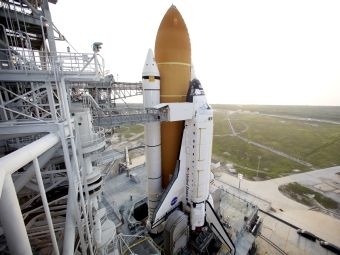 VPR will carry live coverage of the final launch of the Space Shuttle Atlantis beginning at 11:20am on Friday, July 8th. The launch is weather dependent and coverage of the event may be rescheduled.